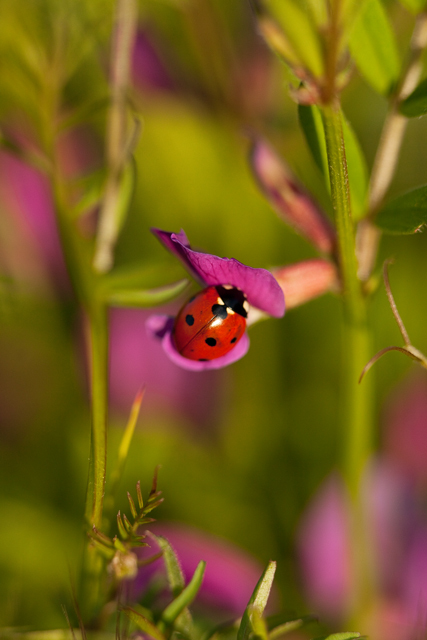 There is nothing that warms this photowalker's heart more than coming across a ladybug. You can only imagine my excitement when I came across a bajillion of them!! Really...a bajillion for sure! Last night was lovely and warm, and we found a patch of wild flowers and grasses that were loaded with these little ladies. We almost didn't make it home as I had to stop every two steps to snap. So much better than TV. What a pretty little gift. Can't think of a better person to stumble upon those little ladies! as always, thanks for sharing your visions! Beautiful! Wow. Those photos are gorgeous. 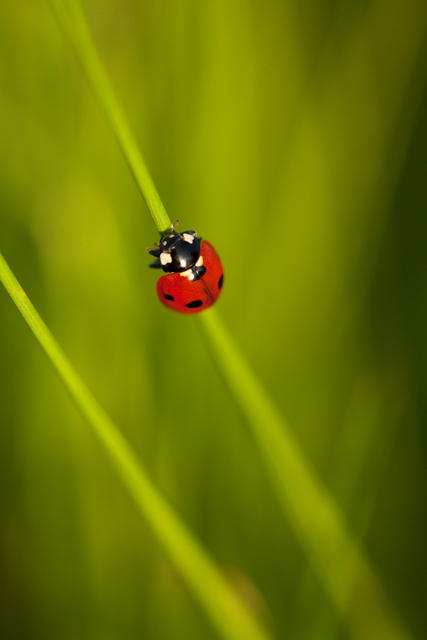 I had one of my preschool students today - normally a grouchy, sour little guy - come up to me with a little ladybug on his hand. He was so gentle with it and said, "I found a little friend." You did it again! Amazing photo's!